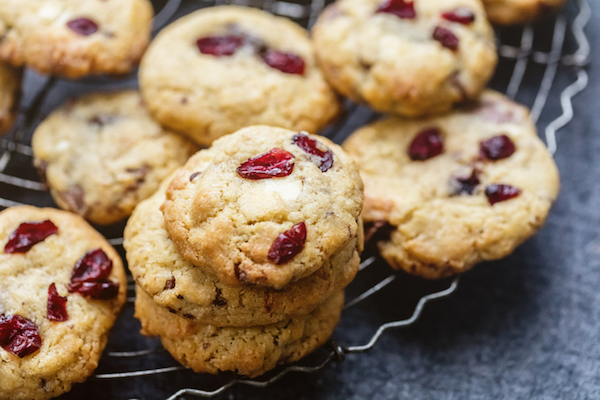 If you are participating in a cookie exchange this year, doing holiday baking to give as gifts, or attending a holiday party, you’ll want to make sure that you’re making something that everyone can enjoy. Here are a few of HealthCentral’s favorite recipes that have been modified to accommodate common food allergies such as gluten, dairy, and nut. 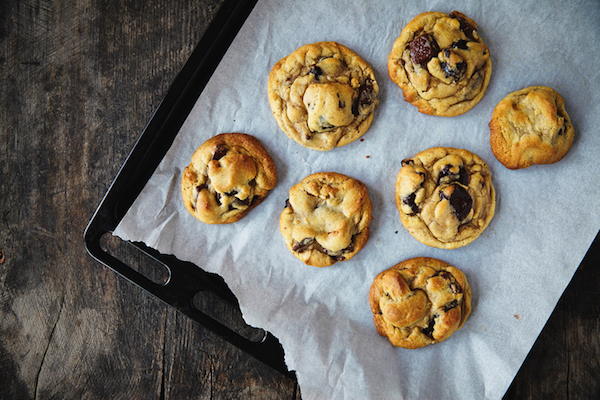 A new twist on an old favorite — these cookies are so good, you won’t miss the wheat flour! Preheat oven to 350 degrees. Mash banana in a large mixing bowl. Add peanut butter, egg, vanilla, baking soda, sugar, and salt. Stir to combine. Add chocolate chips and stir. Drop dough by heaping spoonfuls onto ungreased baking sheets, approximately two inches apart. Bake for 10 minutes or until cookies are golden brown. The holidays can be an especially challenging time for someone living with a peanut or tree nut allergy, since many baked goods contain nuts. Dried fruit replaces the nuts in this recipe, providing added fiber and natural sweetness. Preheat oven to 375 degrees. Cream together the butter and sugar until fluffy. Add the egg and mix again. Add the sour cream and mix until smooth. Sift the flour, baking soda, salt, and cinnamon together. Pour in half of the flour mixture, beating until it is fully blended. Repeat with second half of flour mixture. Stir in dried fruit pieces with a spoon. Wrap the dough in plastic wrap and refrigerate one hour. Roll one-inch balls and roll each ball in the sugar before placing them on two greased cookie sheets about two inches apart, flattening them using two fingers. Bake cookies 10 to 12 minutes and cool on a wire rack. Using dairy-free margarine is a great substitute for butter in any recipe if you are trying to avoid dairy or know someone with a milk allergy. Preheat oven to 350 degrees and lightly grease a 13x9 inch pan. In a medium bowl, combine the flour, baking powder, 1 teaspoon of the cinnamon, nutmeg, and salt and set aside. In large bowl, beat together margarine and brown sugar until well combined. Add the eggs and vanilla, and beat until smooth. Stir in the flour mixture until well blended. Spread the batter evenly in prepared pan. Combine the 2 tablespoons of sugar and the remaining 2 teaspoons of cinnamon in a small dish. Evenly sprinkle the mixture on top of the blondie batter. 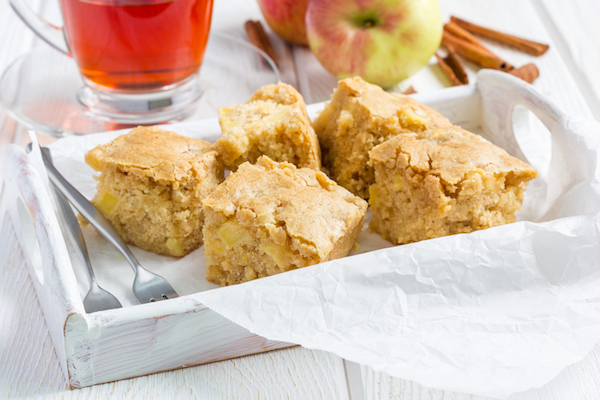 Bake the blondies for 25 to 30 minutes or until the surface springs back when gently pressed. Let the blondies cool in the pan completely before cutting. 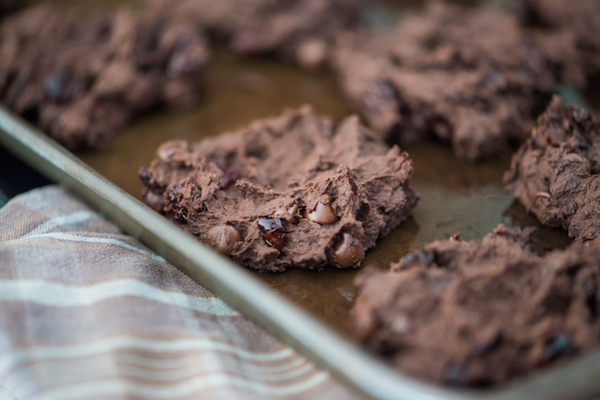 These delicious no-bake cookies take just minutes to make. Cover a large baking sheet with wax paper. Place both types of chocolate chips in a medium glass bowl and microwave on high for 45 seconds. Stir and microwave an additional 45 seconds or until almost melted. Stir until smooth. Add cereal and remaining ingredients; stir quickly to combine. Drop mixture by tablespoonfuls onto prepared baking sheet; chill 1 hour or until firm. Soy is found as an additive in many ingredients, including cereals and some flours, so it is important to look at labels if you are concerned about avoiding soy. Preheat the oven to 350 degrees. Spray or grease a cookie sheet. 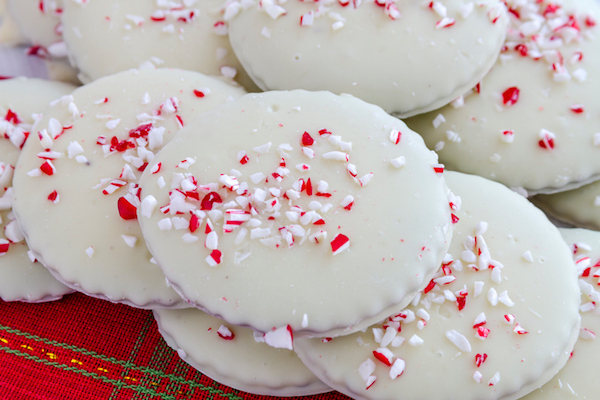 Mix flour, baking soda, salt, white chocolate chips, and crushed peppermint in a large bowl. In a separate bowl, whip together butter, egg, sugar, and peppermint extract. Add the liquid ingredients to the dry ingredients and mix together. Shape into cookies and bake for 10-12 minutes. Allow to cool completely before removing with a spatula or pancake flipper. With a few creative substitutions, you can make your favorite holiday treats for everyone on your list. If you need advice to how to modify your eating plan to accommodate food allergies, consider seeking the advice of a registered dietitian.